A lawsuit by PETA against Rick L. Pelphrey, DVM, has been settled after the veterinarian admitted to declawing lions and tigers illegally without pain medication at Wildlife in Need zoo in Charlestown, Ind. PETA charges that Dr. Pelphrey declawed around 12 big cats over the past three years even though the American Veterinary Medical Association (AVMA) condemned declawing big and exotic cats eight years ago. A U.S. Department of Agriculture inspection report found two of the cats had severe complications from the amputations, leaving them bleeding, hesitant to walk, and in apparent pain. Both cubs subsequently died. This federal court order creates a precedent that declawing endangered or threatened exotic cats without medical necessity violates the Endangered Species Act (ESA). 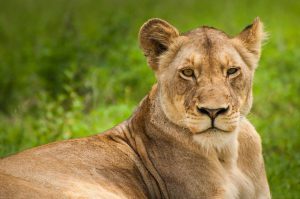 As part of the settlement, Dr. Pelphrey may no longer declaw or give any kind of veterinary care to endangered or threatened species of big or exotic cats. PETA’s lawsuit against the owners and operators of Wildlife in Need for alleged violations of the ESA is ongoing.